 This dynamic husband and wife team bring a wealth of experience to Moshava Wild Rose. Yoni was raised in Boca Raton, Florida. He spent two years studying in Yeshivat Har Etzion and studied Jewish History and Political Science at Yeshiva College (YU). Yoni was a member of the yearlong Innovators’ Circle Fellowship Experiential Jewish Education (EJE) program, sponsored by the Jim Joseph Foundation and Yeshiva University’s Center for the Jewish Future, and received a certificate in EJE. Yoni also spent a year as the Student Activities Coordinator for Ramaz Middle School. Currently Yoni is a graduate student in Medieval Jewish History at the Bernard Revel Graduate School and is a Talmud teacher (as well as a Fellow) at S.A.R High School in Riverdale, NY. Yoni was a staff member at Camp Stone for more than 6 years and worked in many capacities including Rosh Machal and Rosh Chinuch. Yehudit was raised in Cleveland, Ohio. She studied at Nishmat in Israel and is a recent graduate of Stern College for Women where she studied Political Science and Psychology. She is currently studying in the The Graduate Program for Women in Advanced Talmudic Study (GPATS) program and serves as the GPATS intern in Dallas. Currently, Yehudit is the Rosh Chinuch for National Bnei Akiva and has worked in both Camp Stone as well as Moshava Indian Orchard. Most recently she served as the Rosh Chinuch at Camp Stone. Yehudit also enjoys music and photography.